Authorities say they believe Grate made his way from Richland County to Ashland County in the summer of 2016. MANSFIELD -- Richland County will pursue charges against convicted killer Shawn Grate, Prosecutor Gary Bishop said Friday. 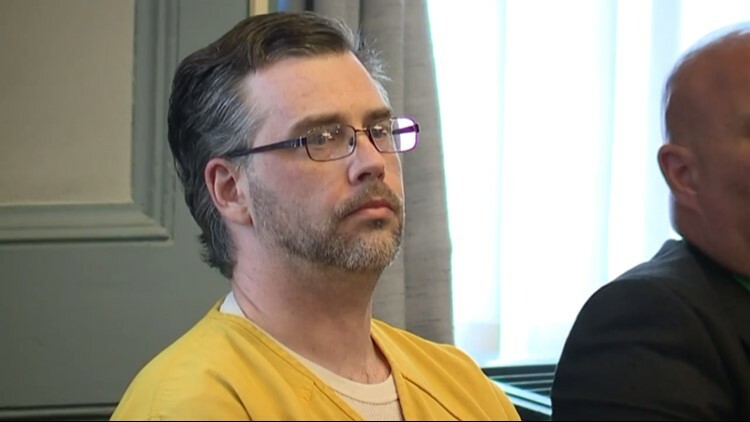 Grate, 42, was convicted in May of the aggravated murders of Stacey Stanley, 43, and Elizabeth Griffith, 29, at the end of a lengthy jury trial in Ashland. The jury recommended the death penalty for Grate, and Ashland County Common Pleas Judge Ron Forsthoefel agreed. The judge set Grate's execution date for Thursday — two years to the day of his arrest — but it will not happen for some time. "He has to set a date as part of the sentencing," Ashland County Prosecutor Chris Tunnell said. "It's the initial date. It never happens (that quickly)." Tunnell said a notice of appeal has been filed. "That stays everything," he said. In Richland County, authorities said Grate confessed to killing Candice Cunningham in June 2016. Her body was found behind the burned-out house at 1027 Park Avenue East in Madison Township in September 2016. The fire had been deemed suspicious. Mansfield police also have investigated Grate for a possible connection to the death of Rebekah Leicy, whose body was found in an Ashland County woods in 2015. The convicted killer also reportedly confessed to killing a woman in Marion County between 2003 and 2005. She has not been identified. His one-man crime spree ended after he kidnapped a woman prosecutors identified as Jane Doe. Grate raped her multiple times, but she managed to escape after calling 911 with Grate's phone on Sept. 13, 2016. After Doe's rescue and the apprehension of Grate, Police found the bodies of Griffith and Stanley at a house at 363 Covert Court, just off downtown Ashland. Both women had been strangled. The vacant house, where Grate had been squatting, has since been demolished. Grate is an inmate at Chillicothe Correctional Institution.